Thank you for inquiring about Jeffrey Valet Service. We welcome the opportunity to discuss with you your service needs. Please review our Valet FAQ below for answers to general questions. If you still have questions, please contact us at 626-723-5126 or contact us through our website. What is Jeffrey Valet's approach to valet service? 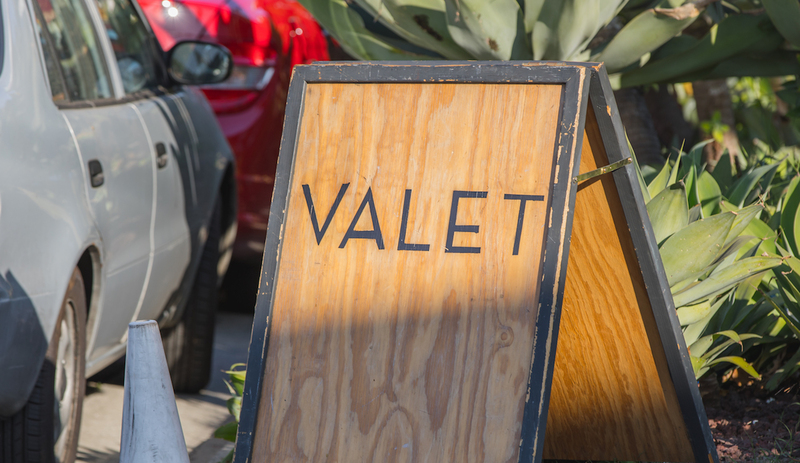 We endeavor to always be conscious of the fact that, whether for weddings or other private and corporate events, valet parking is both the first and last service provider a guest experiences. Because valet parking is highly visible - and because you, the client, wants to impress your guests - we assure that our service is professionally choreographed, with attention paid to positive perception, effiency and protocol. We're alert and respond immediately to guests as they arrive. We open doors and warmly and sincerely greet the guests. We issue claim checks and then proceed to expertly and safely operate the vehicles. We retrieve vehicles quickly and make extra sure to warmly and sincerely bid your guests goodbye. Will the valet know how to drive my car? Of course! Our drivers are well versed in all new technologies, and are pros at stick shift vehicles too. Is your valet company insured? Are your valet drivers? Absolutely. We meet all state and local insurance requirements. If services are cancelled by the client more than nine days previous to the event, the deposit will be returned to the client within 14 days of the cancellation. If services are cancelled by the client within nine days previous to the event for any reason, the deposit will not be returned. Do your valets use uniforms? Yes! Our uniforms veer away from the traditional valet vests. We pride ourselves in changing our uniforms from time to time to match a season or venue. We’ve also worked with our clients on customizing the valet outfits to match a cohesive event decor. Do you provide VIP valet service? All of our clients are VIP’s! However, we do offer tiered staffing in order to reduce wait times or conversely meet budgets. Is there a minimum charge for your valet parking services? Not necessarily, but we do have a minimum timeframe of 4 hours. Do you offer charity / fundraiser rates? Absolutely! Every year we allocate a dollar amount towards charity events. What areas do you provide valet service to? All of Los Angeles county and soon opening up in Orange County. What happens if a car accident occurs? We address the matter immediately - either going through our insurance or taking care of the damaged caused within our operation directly. Whichever is quicker in order to minimize the inconvenience. Do you ever hire for valet drivers? Absolutely! We’re always looking for experienced team members. Should your valet drivers be tipped? If so, how much? It’s up to our guests! We’ll never solicit any type of tips.